Everett is a lifelong craftsman. In grade school, he helped his grandfather, an architect and building inspector, build a working gristmill. High school days were focused on learning the art of cabinetmaking. Evenings were spent renovating an old barn to house a woodshop for honing his skills.A strong work ethic developed as logging, landscaping, and timber-framing jobs filled the days following high school. While building furniture, turning wood, and learning about building science, a love for working with his hands grew into a full time vocation. In 1985 Everett formed Town and Country Builders with partners from the Midwest. The next ten years were spent building and remodeling many fine homes and commercial properties in the Blackstone valley. As interests shifted, and his family grew, Everett moved into furniture making at a local shop and then architectural millwork at a growing Worcester based company. As the company grew, so did his skills and responsibilities. Problem solving and communication skills were the skills developed through more complex and detailed projects. He became the site supervisor and project manager customers sought out for their high-end residential and commercial projects from Maine to New Jersey, and Cape Cod to Vermont. 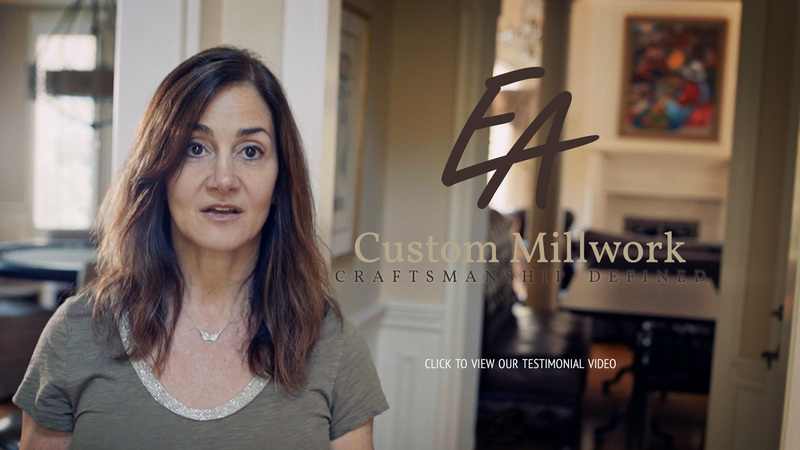 In 2012, EA Custom Millwork was established, opening the latest chapter in Everett’s career. He endeavors to provide every customer with an enjoyable experience by personally overseeing all aspects of the project at hand.